Give Women What They Want. Not What You Think They Need. 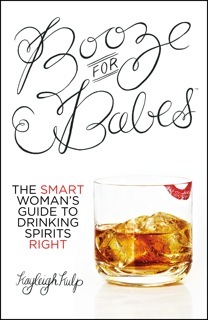 Booze for Babes: The Smart Woman’s Guide to Drinking Spirit Right, and its author Kayleigh Kulp, is ready to be your agent of change if you let it/her be. This soon to be published tome that will quickly become a must read for the Skinny Girl/whipped cream vodka set is destined to turn things around for female drinkers everywhere; much as it did for Kulp. The author began as an uninformed imbiber who admits, “I really didn’t have any preferences. I was a victim of that marketing – I would drink bottled cocktails and all the flavored vodkas that are the weird candy flavors. It was because I didn’t know enough to care.” Now, like you, she knows plenty. And she cares!